Getting Things Done – Clear Your Mind. Close All Open Loops. Clear Your Mind. Close All Open Loops. Capture unfinished tasks in a trusted system outside your mind, a digital place that you know you'll regularly come back to. 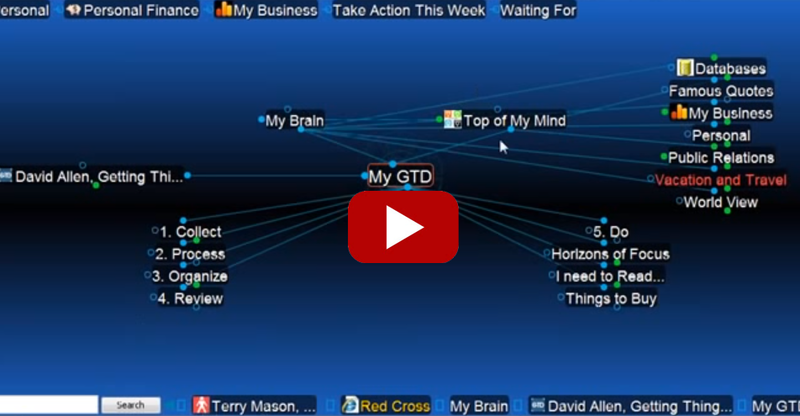 TheBrain lets you put things away so you can focus on the task at hand. Get the big picture and still find the right detail in seconds.